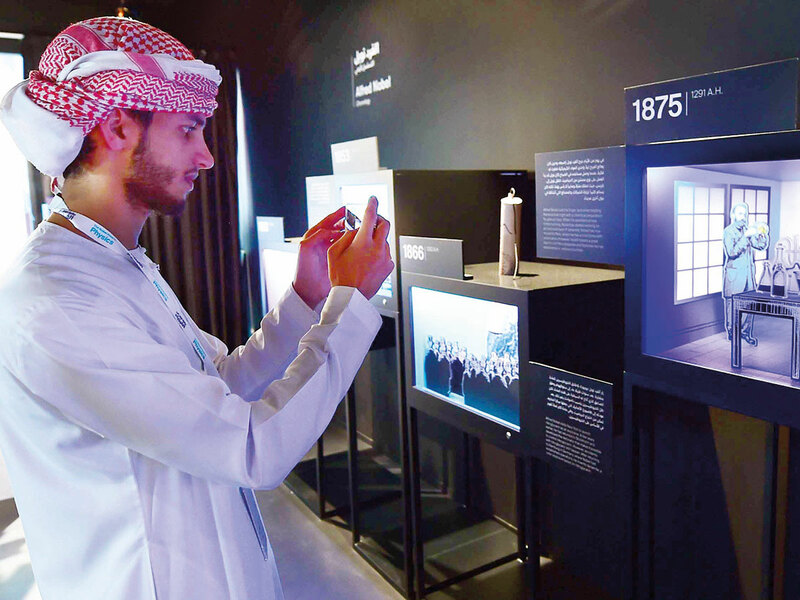 Dubai: The Mohammad Bin Rashid Al Maktoum Knowledge Foundation (MBRF) has announced the 5th annual Nobel Exhibition, organised in partnership with the Nobel Prize Museum, in Dubai’s La Mer district from February 3 to March 3, 2019. Held under the patronage of MBRF Chairman Shaikh Ahmad Bin Mohammad Bin Rashid Al Maktoum, the 2019 edition of the Exhibition bears the theme “Nobel Prize for Literature: Sharing Worlds — In Memory of Naguib Mahfouz”. The Nobel Exhibition 2019 sheds light on an important category of the coveted prize — literature. It showcases the careers of some of the most prominent laureates in the sector, as well as their biggest accomplishments. The Exhibition focuses on all forms of literature, including poetry, theatre, and cinema, highlighting the Nobel Prize’s progress over the years. It particularly highlights the career of renowned Egyptian novelist Naguib Mahfouz, the first Arab to win the Nobel Prize for Literature, showcasing his works, which enriched Arabic Literature and were adapted to the screen — cinema and television — to great success. MBRF’s CEO Jamal Bin Huwaireb asserted that the Nobel Exhibition continues to enhance the Foundation’s role in the knowledge sector, shedding light on some of humanity’s greatest creations in literature, which facilitates the production and dissemination of knowledge, as well as the establishment of knowledge societies and driving forward the sustainable development process in all of our communities. On another note, the Nobel Exhibition 2019 hosts a series of activities, including 4 weekly workshops, led by prominent experts from the Nobel organisations, in addition to a series of poetry nights featuring renowned poets from around the world, set to be held in various locations around the Emirate of Dubai.